There are so many VPS options available on the market today that it’s hard to differentiate what seems to be apples to apples. While Virtual Servers may look the same on face value ie: 1GB RAM, 50GB Disk Space etc you should be aware of what powers your VPS and why the investment for servers are greater than others even though the resources provided are much the same. While a VPS has been a very attractive option for lots of businesses looking to reduce their costs or I.T footprint there have been limiting factors that have stopped many from going all in, one of these factors is being able to guarantee QOS (Quality of Service), at Crucial we looked at the problem and solved it. A VPS (Virtual Private Server) or Virtual Server can be described as a physical piece of dedicated hardware that has a virtualisation layer applied to it allowing the physical server to be split up into ‘Virtual Servers’. Each VPS gets access to portions of the physical server such as CPU, RAM and Disk Space and additionally gets extra benefits such as greater security, flexibility and performance over the common shared hosting environment. 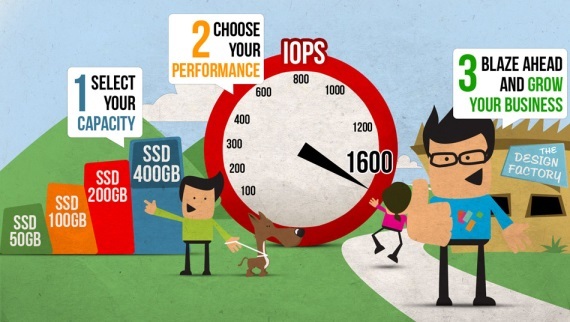 Local Storage (RAID 10 is preferable) however your VPS disk performance is more likely to be affected by neighbours. No high availability however so if the server has an issue the chances are you will experience longer downtime. At Crucial Cloud Hosting these VPS’s have been a big part of our business since 2007, we have constantly pushed the technology barriers with our base offering and today we still offer one of the most powerful foundations to support our customers VPS’s. Each Physical server is a Supermicro brand powered by Dual Hex Core Intel Xeon E5-2620 processors, DDR3 RAM and 12 x Enterprise SATA drives in RAID 10. This configuration provides extremely solid performance as well as reliability to our customers. Another type of VPS is known as a Cloud VPS which is a fancy way of saying that it’s highly available and is more flexible than a normal Virtual Server. This type of VPS does come at a premium however you do get a lot more for your money. SAN Storage (SAS in most cases) = better disk performance and less likely to be affected by neighbours. We also offer Cloud VPS solutions at Crucial powered by a fully redundant network and infrastructure environment. The underlying hardware up until this year was all HP with redundant Blades powered by Dual Hex core Intel processors and the HP Lefthand SAN which featured all SAS drives, this solution was brilliant and we still employ the HP Blade Chassis and servers however we found some customers were still worried about moving high performance websites or dedicated server environments to Virtual Servers and other customers we worried about whether they had the control they wanted over their servers so like always we set out to solve this problem, why? because at Crucial we believe the web should be easy and reliable. Firstly we looked at the Quality of Service issue and found SolidFire, what SolidFire do is build scale out SSD (Solid State Disk) SAN’s which to start with offer far great disk performance than SATA or SAS. We first thought that the idea of powering every one of our Cloud Hosting and Cloud Server customers with SSD storage was kind of neat as every customer would then benefit of having the fastest hosting services available in Australia so of course we looked further into their technology and lucky for us they had set out to solve the same QoS problem we were looking to solve by allowing each storage volume to be assigned with specified IOPS, a first in the world! Now here is the fun part. We want to make the web Easy and Reliable so we had to find a control panel to marry with the SSD SAN technology. After rigorous testing and reading we chose OnApp which is a Cloud control panel and I would say the market leader today. OnApp provides a complete cloud provisioning system along with control panel, features extend well past any other offering and you can even take advantage of an iPhone application. After months of testing and working with SolidFire and OnApp we developed a module which would allow both technologies to talk together and allow OnApp to deploy our Cloud SSD Virtual Servers with the ability to select and scale not only the resources such as RAM, CPU and Disk Space but as a world first the number of IOPS. This solution which we named Blaze gives our customers the flexibility they need with not only cost savings but more importantly predictable Cloud performance and eliminates the ‘noisy neighbour’ problem that has plagued Virtual Servers for years. We offer Blaze on our SSD VPS as well as our SSD PAYG Cloud Resources which is a pay-by-the-hour Cloud offering that comes with more bells and whistles such as auto scaling of Virtual Servers as well as Load Balancing. With Blaze I believe we’ve taken the Cloud to the next level, if you would like to have a play with Blaze just get in contact with us at sales@crucial.com.au. A close and long time friend of Aaron, Ijan has contributed enormously to the commercial growth of the business both locally and overseas. His ‘work 24 hours a day’ attitude, business prowess and ability to network with people from any area of globe means he’s constantly in the air or on the road, in search of the next partnership or deal. Ijan’s other passion in life is personal development so when he’s not overseas or working on the business you will find him glued to books, videos, at seminars or dedicating his time to everyone around him. More than a decade of experience has come to fruition, and when he’s not overseas he spends most of his time exercising, spending time with friends or drawing up new innovative plans for driving the business forward. Great choice of using OnApp as control panel!